For as many years as anyone in the city could remember, Olaf Neddelsohn had been the cambist of the Magdalen Gate postal authority. Every morning, he could be seen making the trek from his rooms in the boarding house on State Street, down past the street vendors with their apples and cheese, and into the bowels of the underground railway, only to emerge at the station across the wide boulevard from Magdalen Gate. Some mornings he would pause at the tobacconist’s or the newsstand before entering the hallowed hall of the postal authority, but seven o’clock found him without fail at the ticker tape, checking for the most recent exchange rates. At half past, he was invariably updating the slate board with a bit of chalk. And with the last chime of eight o’clock, he would nod his respect to his small portrait of His Majesty, King Walther IV, pull open the shutters, and greet whatever traveler had need of him. From that moment until the lunch hour and again from one o’clock until six, Olaf lived and breathed the exchange of foreign currencies. Under his practiced hands, dollars became pounds sterling; rubles became marks; pesos, kroner; yen, francs. Whatever exotic combination was called for, Olaf arranged with a smile, a kind word, and a question about the countries which minted the currencies he passed under the barred window. Over years, he had built nations in his mind; continents. Every country that existed, he could name, along with its particular flavor of money, its great sights and monuments, its national cuisine. At the deep brass call of the closing gong, he pulled the shutters closed again. From six until seven o’clock, he reconciled the books, filled out his reports, wiped his slate board clean with a wet rag, made certain he had chalk for the next day, paid his respects to the portrait of the king, and then went back to his boarding room. Some nights he made beans on the hotplate in his room. Others, he would join the other boarders for Mrs. Wells’ somewhat dubious roasts. Afterward, he would take a short constitutional walk, read to himself from the men’s adventure books that were his great vice, and put out the light. On Saturdays, he would visit the zoo or the fourth-rate gentleman’s club that he could afford. On Sundays, he attended church. He had a reputation as a man of few needs, tepid passions, and great kindness. The romantic fire that the exotic coins and bills awakened in him was something he would have been hard pressed to share, even had he anyone with whom to share it. Which is to say there could not be a man in the whole of the city less like Lord Iron. Olaf took the packet of bills, willing his hands not to tremble. Lord Iron’s thin smile and river-stone eyes did nothing to calm him. The woman draping herself on Lord Iron’s arm made a poor affectation of sincerity. These were unlike any currency he had ever seen; the sheets were just larger than a standard sheet of paper, the engraving a riot of colors—crimson, indigo, and a pale, delicate peach. The lordly face that stared out of the bill was Moorish. Ornate letters identified the bills as being valued at a thousand convertible guilders and issued by the Independent Protectorate of Analdi-Wat. Olaf wondered, as his fingers traced the lettering, how a protectorate could be independent. “And how is that my problem?” Lord Iron asked, stroking his beard. He had a rich voice, soft and masculine, that made Olaf blush. “Are you familiar with the code of exchange?” Lord Iron asked. The dark-haired woman on his arm smiled at Olaf with all the pity a snake shows a rat. Olaf licked his lips. Confusion was like cotton ticking filling his head. Olaf swallowed to loosen the tightness in his throat. His smile felt sickly. Lord Iron turned and walked away. His entourage followed. When the last of them had stepped out the street doors, the silence that remained behind was profound as the grave. Olaf saw the eyes of the postal clerks on him and managed a wan smile. The great clock read twenty minutes past eleven. By noontime tomorrow, Olaf realized, it was quite possible he would no longer be a licensed cambist. He closed his shutters early with a note tacked to the front that clients should knock on them if they were facing an emergency and otherwise return the next day. He pulled out the references of his trade—gazetteer, logs of fiscal reports, conversion tables. By midafternoon, he had discovered the location of the Independent Protectorate of Analdi-Wat, but nothing that would relate their system of convertible guilders to any known currency. Apparently the last known conversion had been into a system of cowry shells, and the numbers involved were absent. The day waned, the light pouring into the postal authority warming and then fading to shadows. Olaf sent increasingly desperate messages to his fellow cambists at other postal authorities, to the librarians at the city’s central reference desk, to the office of the Lord Exchequer. It became clear as the bells tolled their increasing hours that no answer would come before morning. And indeed, no answer would come in time. If Olaf delayed the exchange, his license could be suspended. If he invented some random value for the guilders, his license could be suspended. And there was no data from which to derive an appropriate equation. Anger and despair warring in his belly, he closed his station; returned his books to their places, cleaned his slate, logged the few transactions he had made. His hand hovered for a moment over his strongbox. Here were the funds from which he drew each day to meet the demands of his clientele. Pounds sterling, yen, rubles. He wondered, if he were to fill his pockets with the box’s present contents, how far he would get before he was caught. The romance of flight bloomed in his mind and died all in the space of a breath. He withdrew only the bright, venomous bills of the Independent Protectorate of Analdi-Wat, replacing them with a receipt. He locked the box with a steady hand, shrugged on his coat, and left. Lord Iron, he decided as he walked slowly down the marble steps to the street, was evil. But he was also powerful, rich, and well-connected. There was little that a man like Olaf could do if a man of that stature took it as his whim to destroy him. If it had been the devil, he might at least have fallen back on prayer. Olaf stopped at the newsstand, bought an evening paper and a tin of lemon mints, and trudged to the station across the street. Waiting on the platform, he listened to the underground trains hiss and squeal. He read his newspaper with the numb disinterest of a man to whom the worst has already happened. A missing child had been found alive in Stonemarket; the diary of a famous courtesan had sold at auction to an anonymous buyer and for a record price; the police had begun a policy of restricting access to the river quays in hopes of reducing accidental deaths by drowning. The cheap ink left more of a mark on his fingers than his mind. At his boardinghouse, Olaf ate a perfunctory dinner at the common table, retired to his room, and tried in vain to lose himself in the pulp adventure tales. The presence of a killer among the members of the good Count Pendragon’s safari proved less than captivating, even if the virtuous Hanna Gable was in danger. Near midnight, Olaf turned out his light, pulled his thin wool blanket up over his head, and wondered what he would do when his position at the postal authority was terminated. Two hours later, he woke with a shout. Still in his night clothes, he rushed out to the common room, digging through the pile of small kindling and newspaper that Mrs. Wells used to start her fires. When he found the evening newspaper, he read the article detailing the sale of the courtesan’s diary again. There was nothing in it that pertained directly to his situation, and yet his startling, triumphant yawp woke the house. He arrived at work the next day later than usual, with bags dark as bruises under his eyes but a spring in his step. He went through his morning ritual rather hurriedly to make up for the time he had lost, but was well prepared when the street doors opened at eleven o’clock and Lord Iron and his gang of rank nobility slouched in. Olaf held his spine straight and breathed deeply to ease the trip-hammer of his heart. Lord Iron stepped up to the window like an executioner to the noose. The woman on his arm this morning was fair-haired, but otherwise might have been the previous day’s twin. Olaf made a small, nervous bow to them both. Lord Iron’s expression was distant as the moon. Olaf wondered if perhaps his lordship had been drinking already this morning. With trembling hand, Olaf slid an envelope across the desk. Lord Iron didn’t look down at it. Fury lit his eyes. “You sold my bills?” he growled. Olaf had anticipated many possible reactions. Violence, anger, amusement. He had imagined a hundred objections that Lord Iron might bring to his actions. Base ignorance had not been one of them. Olaf’s surprise leant a steadiness to his voice. Olaf saw in that moment that Lord Iron genuinely didn’t understand. He pulled himself up, straightening his vest. Never before in his life had Olaf seen nobility agape at him. The coterie of Lord Iron stared at him as if he had belched fire and farted brimstone. The fair-haired woman stepped back, freeing his lordship’s sword arm. I have gone too far, Olaf thought. He will kill me. Lord Iron was silent for a long moment while the world seemed to rotate around him. Then he chuckled. The woman’s cheeks flushed scarlet. Lord Iron leaned against the sill of Olaf’s little, barred window and gestured Olaf closer. Against his best judgment, Olaf leaned in. “And how is that wrong, my lord?” the cambist asked. Lord Iron smiled again. The almost sleepy expression returned to his eyes. He nodded. And with that, Lord Iron swept the envelope into his pocket, turned, and marched unsteadily out of the postal authority and into the noon light of Magdalen Gate. After the street doors were closed, there was a pause long as three breaths together and then one of the postal clerks began to clap. A moment later, the staff of the postal authority had filled the vaults of their chambers with applause. Olaf, knees suddenly weak, bowed carefully, closed the shutters of his window, and made his way back to the men’s privacy room where he emptied his breakfast into the toilet and then sat on the cool tile floor laughing until tears streamed from his eyes. He had faced down Lord Iron and escaped with his career intact. It was, no doubt, the greatest adventure of his life. Nothing he had done before could match it, and he could imagine nothing in the future that would surpass it. And nothing did, as it turned out, for almost six and a half months. It was a cold, clear February, and the stars had come out long before Olaf had left the Magdalen Gate authority. All during the ride on the underground train, Olaf dreamed of a warm pot of tea, a small fire, and the conclusion of the latest novel. Atherton Crane was on the verge of exposing the plot of the vicious Junwang Ko, but didn’t yet know that Kelly O’Callahan was in the villain’s clutches. It promised to be a pleasant evening. He knew as soon as he stepped into the boarding house that something was wrong. The other boarders, sitting around the common table, went silent as he shrugged out of his coat and plucked off his hat. They pointedly did not look at him as Mrs. Wells, her wide, friendly face pale as uncooked dough, crossed the room to meet him. “Who was he?” Olaf asked, suspicion blooming in his heart more from her affect than from any guilt on his conscience. The envelope she thrust into his hand was the color of buttercream, smooth as linen, and thick. The coat of arms embossed upon it was Lord Iron’s. Olaf started at the thing as if she’d handed him a viper. Mrs. Wells simpered her apology as he broke the wax seal and drew out a single sheet of paper. It was written in an erratic but legible hand. I find I have need of you to settle a wager. You will bring yourself to the Club Baphomet immediately upon receipt of this note. I will, of course, recompense you for your troubles. The note was not signed, but Olaf had no doubt of its authorship. Without a word, he pulled his jacket back on, returned his hat to his head, and stepped out to hail a carriage. From the street, he could see the faces of Mrs. Wells and his fellow boarders at the window. The Club Baphomet squatted in the uncertain territory between the tenements and beer halls of Stonemarket and the mansions and ballrooms of Granite Hill. The glimmers behind its windows did little to illuminate the street, perhaps by design. From the tales Olaf had heard, there might well be members of the club who would prefer not to be seen entering or leaving its grounds. The service entrance was in a mud-paved alley stinking of piss and old food, but it opened quickly to his knock. He was bundled inside and escorted to a private sitting room where, it seemed, he was expected. Of the five men who occupied the room, Olaf recognized only Lord Iron. The months had not been kind; Lord Iron had grown thinner, his eyes wilder, and a deep crimson cut was only half healed on his cheek. The other four were dressed in fashion similar to Lord Iron—well-razored hair, dark coats of the finest wool, watch chains of gold. The eldest of them seemed vaguely familiar. Lord Iron rose and held his hand out toward Olaf, not as if to greet him but rather to display him like a carnival barker presenting a three-headed calf. Olaf felt the rictus grin on his face, the idiot bobbing of his head as he made small bows to the four assembled gentlemen. He was humiliated, but could no more stop himself than a puppy could keep from showing its belly to beg the mercy of wolves. One of the four—a younger man with gold hair and ice-blue eyes—stepped forward with a smile. Olaf nodded to him for what must have been the fifth time. At this, Lord Iron raised a hand, as if to identify himself as one such enemy. The other three men chuckled, and Lord Eichan smiled as well before continuing. “Yes, my lord,” Olaf said. “Excellent,” Lord Iron said, slapping him on the back and leading him to a chair upholstered in rich leather. It wasn’t until Olaf had descended into the chair’s depths that he realized he had just agreed to this mad scheme. Lord Eichan had taken a seat opposite him and was thoughtfully lighting a pipe. Lord Eichan nodded as if Olaf had made some cogent point, then shaking his match until the flame died, turned to face Olaf directly. “One week!” Lord Eichan said as Olaf and Lord Iron stepped from the room and into the corridor. Lord Iron was smiling; Olaf was not. “I don’t know for a certainty that I can accommodate you, my lord,” Olaf said. Olaf stopped dead. Lord Iron took another few steps before pausing and looking back. Olaf, unthinking, murmured an obscenity. Lord Iron grinned and pulled him along the dim corridor toward the back of the club. With that, Lord Iron stepped Olaf out the door and into the cold, bleak alley. It wasn’t until the door had closed behind him that Olaf realized Lord Iron hadn’t recompensed him for the carriage ride. In the morning, the whole affair had the air of a bad dream. Olaf made his way to Magdalen Gate as he always did, checked the ticker tape, updated his slate. What was the value of life, he wondered. And how was one life best to be measured against another. And, behind it all, the growing certainty that Lord Eichan would indeed kill him if he couldn’t find an acceptable answer. Twice before noon, Olaf found he had made errors in his accounting. After bolting down the snowy street after a woman who had left with ten pounds fewer than she deserved, Olaf gave up. He wrote a note claiming illness, pinned it to his shuttered window, and left. He paused at the tobacconist to buy a pouch and papers. In his room at the boarding house, Olaf sketched out every tack he could think of to address the issue. The most obvious was to determine how much money the state spent to keep His Majesty and how much to run the prisons. But objections to that arose almost immediately; was that a measure of the worth of life or of operational expenses appropriate to each career? He considered the relative costs of physician’s care for king and prisoner, but this again was not a concern precisely of life, but health. Twenty years coughing and twenty years free from illness were still twenty years. For three days, he ate little and slept less. He ventured out to the library to search among the stacks of books and periodicals for inspiration. He found nothing on which he would have been willing to stake his life. Lord Iron had done that for him. On the morning of the fourth day he rolled the last pinch of tobacco into the last paper, wet it, rolled it, and sat on his bed unable to bring himself to the effort of lighting the thing. Despair had descended upon him. He saw the next three days stretching before him in a long, slow sleep. It was how he imagined the prisoners felt who had so occupied his thoughts. But he, at least, could go out for more tobacco. And beer. And good, bloody beefsteak. If he was to live like a prisoner, he might at least eat like a king. It wasn’t as if he’d give himself gout in three days’ time, no matter how richly he ate or overmuch he drank. Something stirred at the back of his mind, and he found himself grinning even before he knew why. All that day and the two after it he spent in a whirl of activity, his despair forgotten. He visited physicians and the budget office, the office of the prison warden and the newspaperman who most reported on the activities of the king. The last day, he locked himself in his rooms with an abacus, a stub of pencil, and sheaves of paper. When he came to the final accounting, his heart sank. He went through his figures again, certain that somewhere in the complexity of his argument, he had made an error. But the numbers tallied, and as little as he liked it, there was no more time. Putting on his best coat, he prepared the argument in his mind. Then, papers tucked under his arm, he went out past his silent fellow boarders and the stricken countenance of Mrs. Wells, down to the wintery street, and hailed a carriage to carry him back to Club Baphomet. The furniture of the sitting room had been rearranged. A single table now dominated the space, with five chairs all along one side like an examiner’s panel. The three judges sat in the middle with Simon, Lord Eichan on the left and Lord Iron on the right. Lord Eichan looked somewhat amused, but there was a nervousness in his movement with which Olaf identified. Lord Iron looked as relaxed as a man stepping out of a sauna; the wound on his face was visibly more healed. Glasses of wine sat before each man, and cigars rested in onyx ashtrays when the gentlemen of the club weren’t making better use of them. A straight-backed wooden chair faced them, a small student desk at its side. Olaf sat and arranged his papers. The eldest of the judges leaned forward and with a smile more at home on the lips of a procurer spoke. The judges looked at one another in amusement. There was a moment’s silence. Simon, Lord Eichan blinked and an incredulous smile began to work its way onto his countenance. Lord Iron sat forward, his expression unreadable. One of the judges who had not yet spoken took a meditative puff on his cigar. “Yes,” Olaf said, his belly heavy as if he’d drunk a tankard of lead. The eldest judge glanced at Lord Iron with a pitying expression. “You have now ceased to preach to the choir,” said Lord Eichan. And indeed, the judges had grown more somber. Olaf raised a hand, begging their patience. Olaf fumbled with the sheaves of papers, searching for the form he had created. The eldest judge cleared his throat. A glimmer of amusement shone in Lord Iron’s eyes, but his face remained otherwise frozen. Simon, Lord Eichan was fidgeting with his cigar. The eldest judge sucked his teeth audibly and shook his head. “And yet prisoners do not, I think, have a greater lifespan than monarchs,” he said. Olaf paused, finding the name. But before the other two judges could answer Olaf rose to his feet. The effeminate judge lifted his chin. There was a livid scar across his neck where, Olaf imagined from his knowledge of men’s adventure, a garrote might have cut. But it was Simon, Lord Eichan who spoke. Lord Eichan leaned back sneering and gripping his wine glass until his knuckles were white. “It’s a choice every man in this room has made,” Olaf went on, raising his arm like a priest delivering a homily. “You might all live as ascetics and survive years longer. But like the king, you choose to make a rational exchange of some span of your life for the pleasure of living as you please. A prisoner is barred from that exchange, and so I submit a greater value is placed on his life precisely to the degree that strictures are placed on his pleasure and his exercise of power. “Amen,” said Lord Iron. It was the first time he had spoken since Olaf had entered. The silence that followed this declaration was broken only by the hissing of the fire in the grate and rush of blood in Olaf’s ears. With the blackwood door closed behind him, Olaf’s fear returned. He was in the Club Baphomet with his survival linked to Lord Iron’s, and only an argument that seemed less and less tenable with each passing minute to protect him. But he had made his throw. His only other hope now was mad flight, and the door to the corridor was locked. He tried it. What felt like hours passed, though the grandfather clock ticking away in the corner reported only a quarter-hour. A pistol barked twice, and a moment later Lord Iron strode into the room. The door swung shut behind him before Olaf could make sense of the bloody scene. His gorge rose. Olaf’s mind reeled. The face of the eldest judge resolved itself suddenly into the portrait he kept at his desk. Without another word, Lord Iron unlocked the door, stepped out to the corridor, and was gone. Olaf looked down. A packet of bills squatted in his lap. Five hundred pounds at a guess, and blood smeared on the topmost bill. He swore to himself in that moment that he would never answer another summons from Lord Iron, whatever the consequences. And, indeed, when the hour arrived, it was Lord Iron who came to him. The weeks and months that followed were if anything richer in their tales of Lord Iron. While traveling in the Orient, he had forced a barkeep who had fallen into debt to choose between cutting off one of his infant daughter’s toes or three of his own fingers in lieu of payment. He had seduced six nuns in Rome, leaving two of them with child. He had ridden an ostrich down the streets of Cairo naked at midnight. Of the untimely death of Lord Eichan there was no word, but apart from removing the portrait of the king from his desk, Olaf took no action. The less he personally figured into the debaucheries of Lord Iron, the better pleased he was. Instead, Olaf plunged more deeply than ever into his work, his routine, and the harmless escapism of his men’s adventure novels. But for the first time in memory, the perils of the heroines seemed contrived and weak; the masculine bravery of the heroes seemed overstated, like a boy who blusters and puffs out his chest when walking through the graveyard at dusk. Clifford Knightly wrestled an alligator on the banks of the great Nile. Lord Morrow foiled the evil Chaplain Grut’s plan to foul the waters of London. Emily Chastain fell gratefully into the mighty arms of the noble savage Maker-of-Justice. And Olaf found himself wondering what these great men would have done at Club Baphomet. Wrested the gun from Lord Iron? From Simon, Lord Eichan? Sternly spoken of God and truth and righteousness? Olaf doubted it would have had any great effect. Winter passed into spring. Spring ripened to summer. Slowly, Olaf’s discontent, like the nightmares from which he woke himself shouting, lessened. For weeks on end, he could forget what he had been part of. Many men who came to his window at the postal authority had traveled widely. Many had tales to tell of near misses: a runaway carriage that had come within a pace of running them down in the streets of Prague, a fever which had threatened to carry them away in Bombay, the hiss of an Afghan musket ball passing close to their head. Olaf had tales of his own now, if he ever chose to share them. That was all. And still, when autumn with its golden leaves and fog and chill rain also brought Lord Iron back into his life, Olaf was not surprised. It was a Tuesday night in September. Olaf had spent his customary hours at the Magdalen Gate postal authority, come back to his boarding house, and eaten alone in his room. The evening air was cool but not biting, and he had propped his window open before sitting down to read. When he woke, he thought for a long, bleary moment that the cold night breeze had woken him. Then the knock at his door repeated itself. His blanket wrapped around his shoulder, Olaf answered the door. Lord Iron stood in the hall. He looked powerfully out of place. His fine jacket and cravat, the polished boots, the well-groomed beard and moustache all belonged in a palace or club. And yet, rather than making the boarding house hall seem shabby and below him, the hallway made Lord Iron, monster of the city, seem false as a boy playing dress-up. Olaf nodded as if he’d been expecting the man. “I have need of you,” Lord Iron said. Lord Iron smiled, and Olaf took it as the answer to his question. He stepped back and let the man come through. Lord Iron sat on the edge of the bed while Olaf closed his window, drew up his chair, and sat. In the light from Olaf’s reading lamp, Lord Iron’s skin seemed waxen and pale. His voice, when he spoke, was distant as a man shouting from across a square. “Is there a life at stake?” Olaf asked. When Olaf failed to respond, Lord Iron, born Edmund Scarasso, looked up at him. There was a terrible weariness in his eyes. “I would know the fair price for a man’s soul,” he said. In an instant, Olaf’s mind conjured the sitting room at the Club Baphomet. Lord Iron sitting in one deep leather chair, and the Prince of Lies across from him with a snifter of brandy in his black, clawed hands. “I don’t think that would be a wise course to follow,” Olaf said, though in truth his mind was spinning out ways to avoid being party to this diabolism. He did not wish to make a case before that infernal judge. Lord Iron smiled and shook his head. “I will make good on the investment of your time,” Lord Iron said, then rose and walked out, leaving the door open behind him. Olaf gaped at the empty room. He was a cambist. Of theology, he knew only what he had heard in church. He had read more of satanic contracts in his adventure novels than in the Bible. He was, in fact, not wholly certain that the Bible had an example of a completed exchange. Satan had tempted Jesus. Perhaps there was something to be taken from the Gospel of Matthew . . .
Olaf spent the remainder of the night poring over his Bible and considering what monetary value might be assigned to the ability to change stones to bread. But as the dawn broke and he turned to his morning ablutions, he found himself unsatisfied. The devil might have tempted Christ with all the kingdoms of the world, but it was obvious that such an offer wouldn’t be open to everyone. He was approaching the problem from the wrong direction. As he rode through the deep tunnels to Magdalen Gate, as he stopped at the newsstand for a morning paper, as he checked the ticker tape and updated his slate, his mind occupied itself by sifting through all the stories and folk wisdom he had ever heard. There had been a man who traded his soul to the devil for fame and wealth. Faust had done it for knowledge. Was there a way to represent the learning of Faust in terms of, say, semesters at the best universities of Europe? Then the rates of tuition might serve as a fingerhold. It was nearly the day’s end before the question occurred to him that put Lord Iron’s commission in its proper light, and once that had happened, the answer was obvious. Olaf had to sit down, his mind afire with the answer and its implications. He didn’t go home, but took himself to a small public house. Over a pint and a stale sandwich, he mentally tested his hypothesis. With the second pint, he celebrated. With the third, he steeled himself, then went out to the street and hailed a carriage to take him to the house of Lord Iron. Revelers had infected the household like fleas on a dying rat. Masked men and women shrieked with laughter, not all of which bespoke mirth. No servant came to take his coat or ask his invitation, so Olaf made his own way through the great halls. He passed through the whole of the building before emerging from the back and finding Lord Iron himself sitting at a fountain in the gardens. His lordship’s eyebrows rose to see Olaf, but he did not seem displeased. “So soon, boy? It isn’t a month,” Lord Iron said as Olaf sat on the cool stone rail. The moon high above the city seemed also to dance in the water, lighting Lord Iron’s face from below and above at once. Lord Iron opened his hand in motion of deference. Olaf cleared his throat. Lord Iron coughed out something akin to a laugh, shock in his expression. Olaf raised a hand, palm out, asking that he not interrupt. “He does,” Lord Iron said, staring into the middle distance. Lord Iron sighed and looked at his hands. He seemed smaller now. Not a supernatural being, but a man driven by human fears and passions to acts that could only goad him on to worse and worse actions. A man like any other, but with the wealth to magnify his errors into the scale of legend. “Ah, is that all,” Lord Iron said, as if the cambist had suggested that he pull down the stars with his fingers. Lord Iron met his gaze, began to laugh, and then went silent. Edmund, the new cambist of the Magdalen Gate postal authority was, by all accounts, an adequate replacement for Olaf. Not as good, certainly. But his close-cropped hair and clean-shaven face leant him an eagerness that belonged on a younger man, and if he seemed sometimes more haughty than his position justified, it was a vice that lessened with every passing month. By Easter, he had even been asked to join in the Sunday picnic the girls in the accounting office sponsored. He seemed genuinely moved at the invitation. The great scandal of the season was the disappearance of Lord Iron. The great beast of the city simply vanished one night. Rumor said that he had left his fortune and lands in trust. The identity of the trustee was a subject of tremendous speculation. Olaf himself spent several months simply taking stock of his newfound position in the world. Once the financial situation was put in better order, he found himself with a substantial yearly allowance that still responsibly protected the initial capital. He spent his monies traveling to India, Egypt, the sugar plantations of the Caribbean, the unworldly underground cities of Persia. He saw the sun set off the Gold Coast and rise from the waters east of Japan. He heard war songs in the jungles of the Congo and sang children’s lullabies in a lonely tent made from yak skin in the dark of a Siberian winter. And, when he paused to recover from the rigors and dangers of travel, he would retire to a cottage north of the city—the least of his holdings—and spend his time writing men’s adventure novels set in the places he had been. He named his protagonist Lord Iron. © 2007 by Daniel Abraham. Daniel Abraham has published sixteen novels and almost three dozen short stories. He is also adapting George RR Martin’s A Game of Thrones into graphic novels. His work has been nominated for the Nebula, Hugo, and World Fantasy awards, and has won the International Horror Guild award. 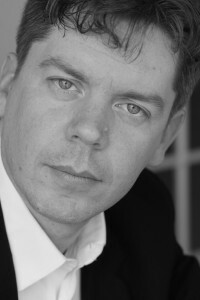 He also writes as MLN Hanover and (with Ty Franck) as James SA Corey. He lives in New Mexico.